Move over, Mariah. Back off, Beyoncé. Watch out, Whitney. Your performances of the national anthem were legendary, but I like this one better. Over the weekend, three Scouts from Westport, Conn., Troop 100 performed an a cappella version of “The Star-Spangled Banner” at an Eagle Scout court of honor. The result was musical gold that’ll make you proud to be a Scout or Scouter and proud to be an American. The three performers are high school juniors and members of the Orphenians, an a cappella group at their school. 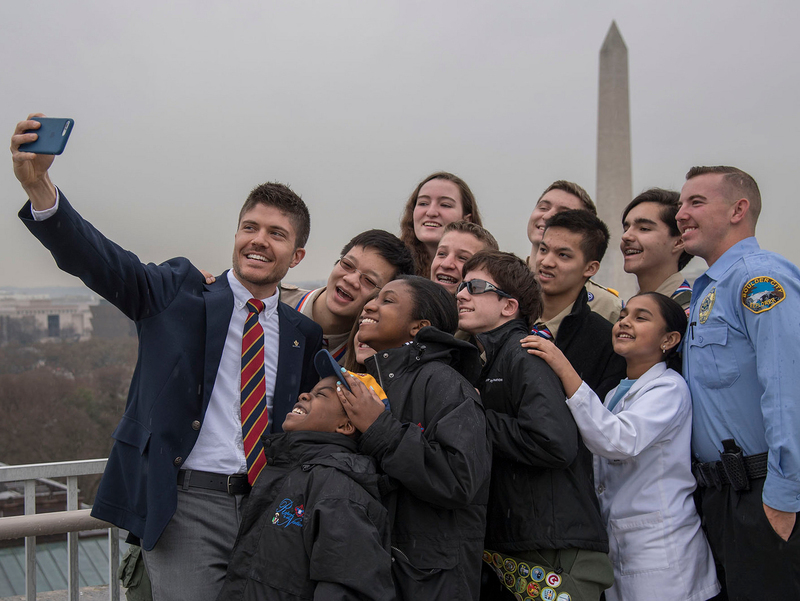 From left, the performers are: Keanan Pucci, a former Scout in Troop 100; Aaron Samuels, a new Eagle Scout in Troop 100; and Wellington Baumann, a Life Scout in Troop 100. Jennifer Jackson, who was Scoutmaster of Troop 100 for eight years before she “retired” a year ago, was in attendance at the court of honor and wanted to share this video with anyone and everyone. Join 13,310 people who get Bryan on Scouting in their inbox. We'll send one email per weekday, and you can unsubscribe any time.